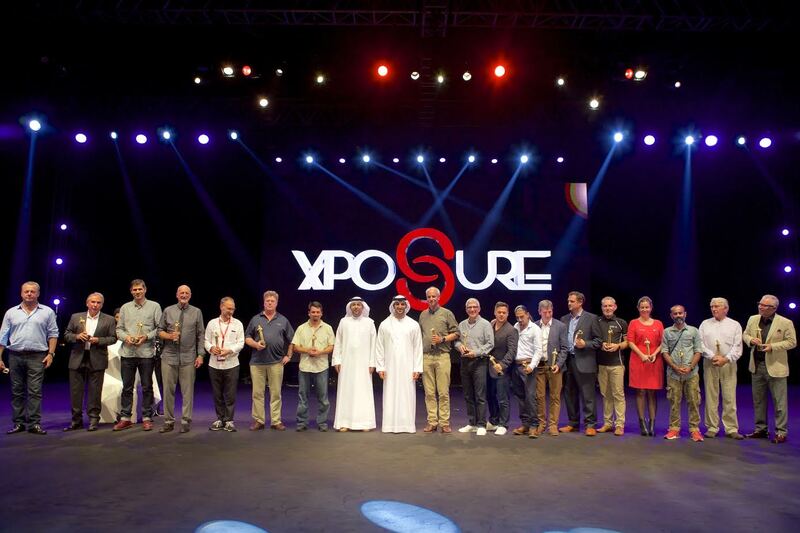 SHARJAH, UAE/Sharjah Media Centre: XPOSURE 2016, Sharjah’s first-of-its-kind international photography festival hosted by Sharjah Media Centre (SMC) under the patronage of His Highness Sheikh Dr Sultan bin Mohamed Al Qasimi, Supreme Council Member and Ruler of Sharjah, concluded last night at Al Majaz Amphitheatre. The four-day festival brought together professional and aspiring photographers, weekend visitors, school students and photography enthusiasts. The closing ceremony commenced with exciting theatrical performances and laser shows that thrilled the audience. In his address on behalf of fellow lens men and women who participated in XPOSURE 2016, ace photographer David Yarrow thanked the organisers for the generous hospitality and impeccable arrangements made throughout the four-day festival. The 15 winners of a photography competition that drew global participation across various categories to mark the opening of the festival received cash awards and best-in-class Canon products at a special award ceremony. The event also recognised the efforts of a wide group that contributed to the success of the festival in its first year, including the eminent panel of guest photographers, partners and sponsors, media representatives and team members. Some 30 lucky winners walked away with great prizes of Canon products and four airline tickets. In addition, the festival provided seven photography enthusiasts with the opportunity to participate in a travel workshop conducted by award-winning photographer Timothy Allen. Visitors had the opportunity to attend seminars, screenings and panel discussions hosted by renowned masters from the world of photography. Workshops conducted at the festival ranged from beginner to advanced masterclasses with experts and received huge response. XPOSURE 2017 is set to bring on board an even bigger talent pool and comprehensive agenda of photography-focused events.